I offer therapy sessions for individuals and couples who are experiencing issues such as anxiety, depression, stress and relationship problems. My work is brief solution focused and aims to help individuals work towards a particular outcome and equip them with tools and strategies that they can employ to help them transform the way they relate to their issues and cope more effectively with stressful situations or difficult emotions. Contemporary Psychotherapy - which incorporates somatic body work to release hidden conflict, that tends to reside in the unconscious and focuses on the re-integration of parts of the self that have been neglected or disowned over time. This highly effective technique encourages self acceptance and compassion and incorporates different styles of therapy, keeping up with modern trends in psychotherapy as well as the latest research in neuro-science. Imago Relationship Facilitation for Couples - which focuses on helping couples to improve their communication and gain a greater understanding of themselves and their partner in order to dissolve conflicts and develop the ability to be more compassionate and empathetic. I am a fully certified Co-active Professional Coach and trained with the internationally recognised Coach Training Institute (CTI). 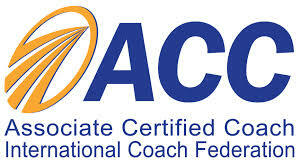 I have also achieved accreditation by the global organising body of coaching, the International Coaching Federation (ICF). I am a fully qualified Imago Relationships facilitators, which enables me to work with individuals and couples in the area of relationship communication. I am also in the process of completing my Diploma in Contemporary Psychotherapist with Beeleaf, London. Therapy sessions - the first session is 90 minutes and costs €90 with following sessions being 60 minutes at the rate of €60. For couples sessions are 90 minutes and cost €90. Sessions can take place at my home in Samoens, Haute Savoie, France or via Skype in the comfort of your own home. General Data Protection Regulation - please click here for more details on how private data belonging to EU citizens is collected, stored, and distributed.